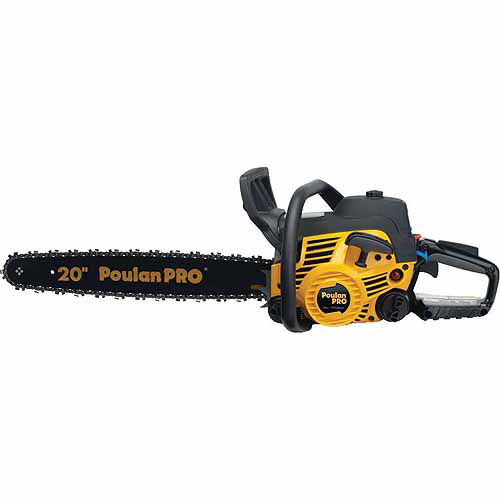 I just bought my first Poulan PRO chain saw. What a nightmare. I will never buy another Poulan or a Husqvarna product since its the parent company. The worst service I have ever had. I have owned a chainsaw (old Ryobi) for 10 years before this purchase. This new chainsaw ran for 10 minutes and died. The Service Provider given to me by the Poulan Service group charged me 35$ just to tell me it was not a warranty. They claim I did not add the oil mix which is totally inaccurate since the 10 year old Ryobi and another Poulan that were using same gas mix had no issues and ran the whole day. I tried for hours to reach someone at Poulan and could not get anyone to help. They told me to take it up with the local Service provider who is denying the warranty. Guess I am out a brand new 200$ chainsaw and my 35 dollars. Dont buy Poulan! Call their service and see how well their response is and you will be more convinced.